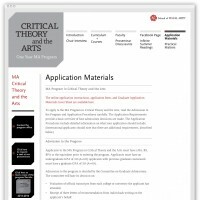 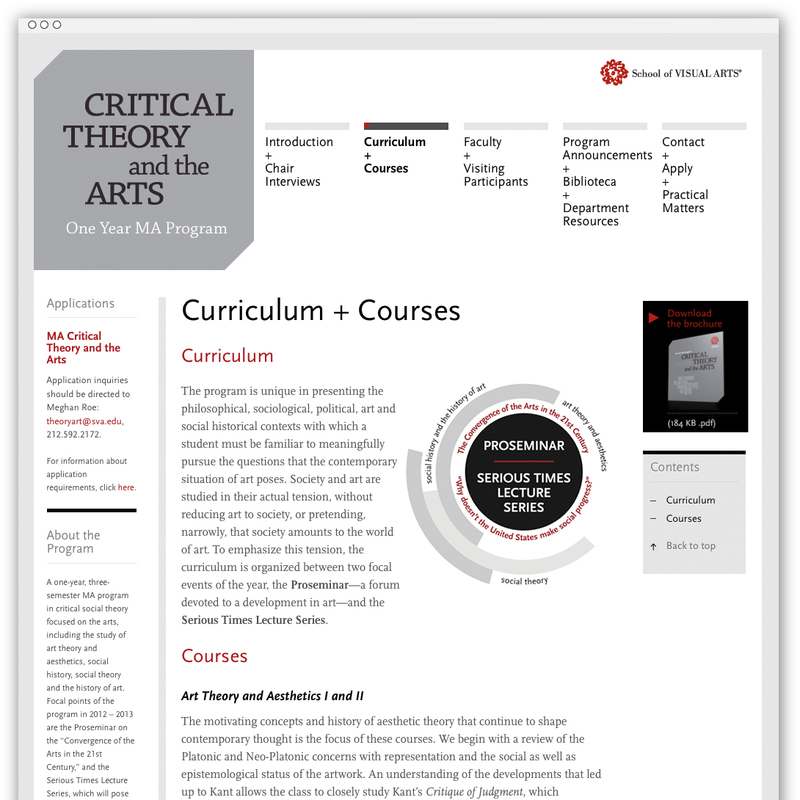 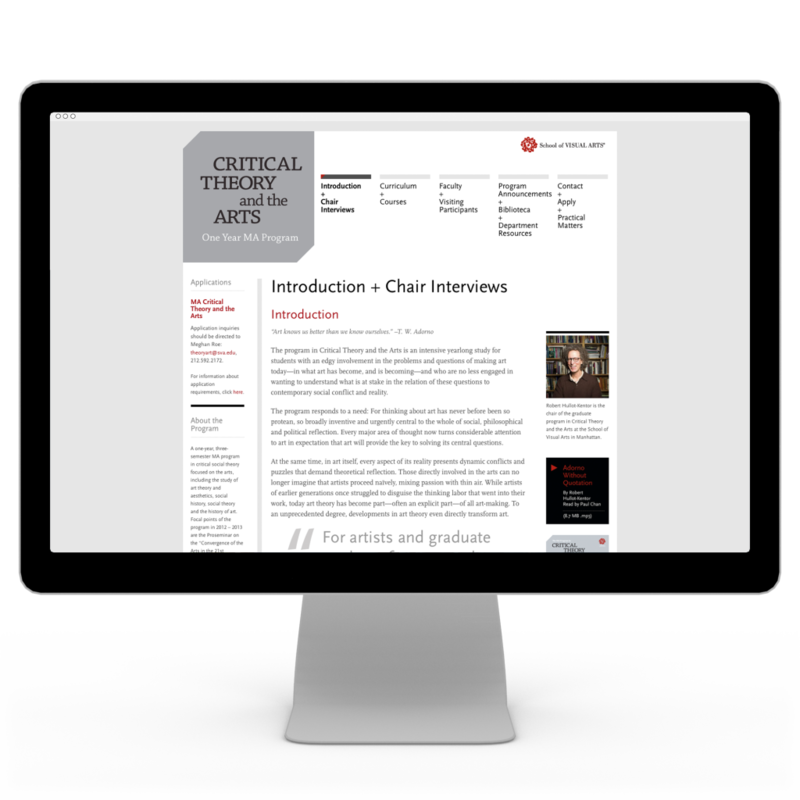 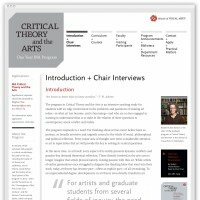 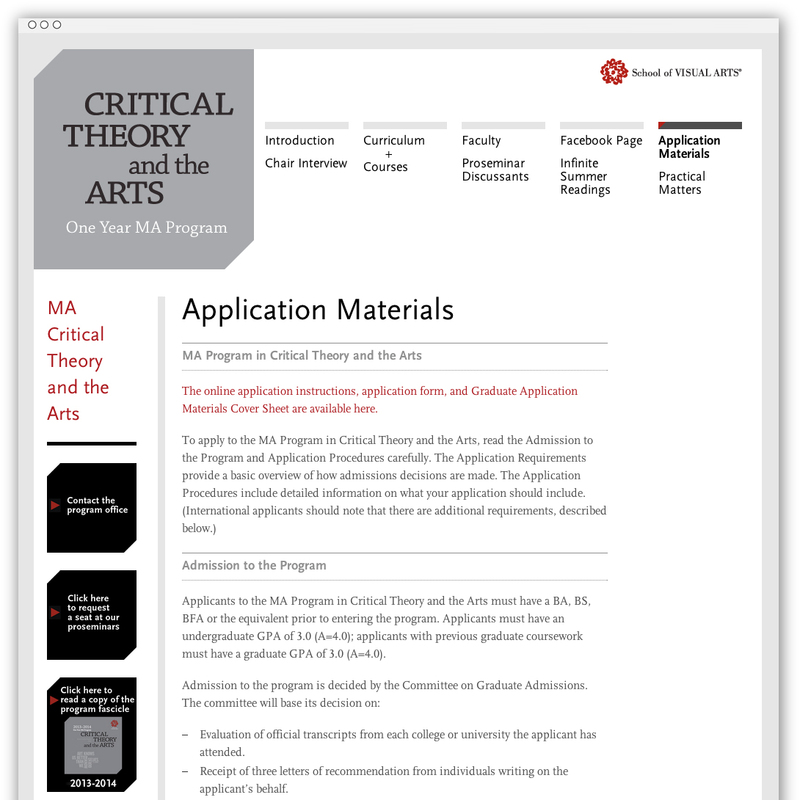 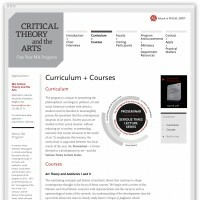 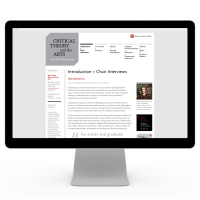 Critical Theory and the Arts was a brand-new Master’s degree program at New York’s School of Visual Arts. 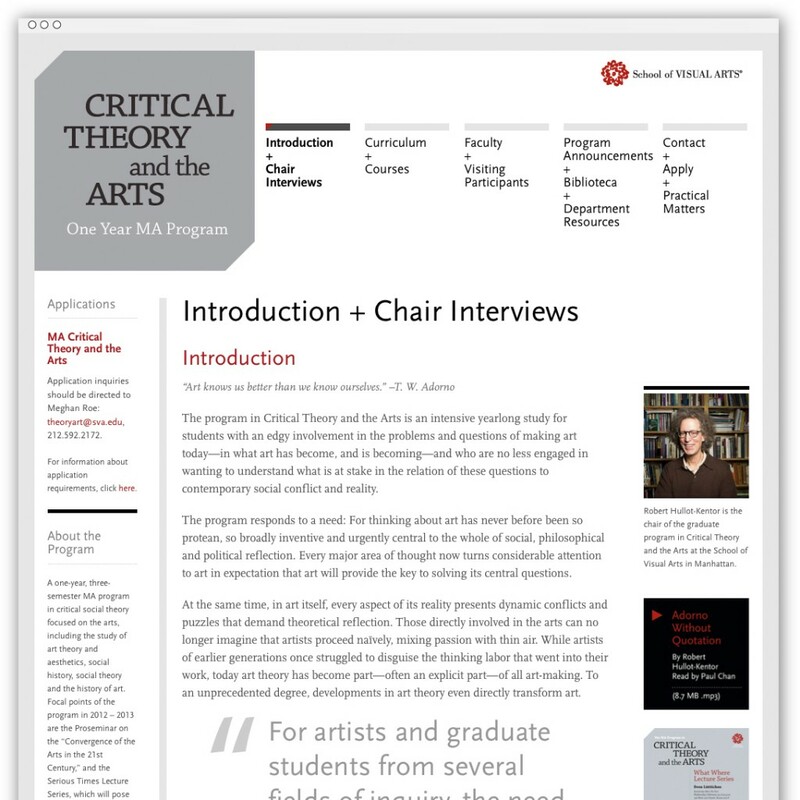 The launch of the program required a visual identity to stand out from all the other visual arts programs offered at the school, and the client insisted upon a text-only approach — no images allowed. 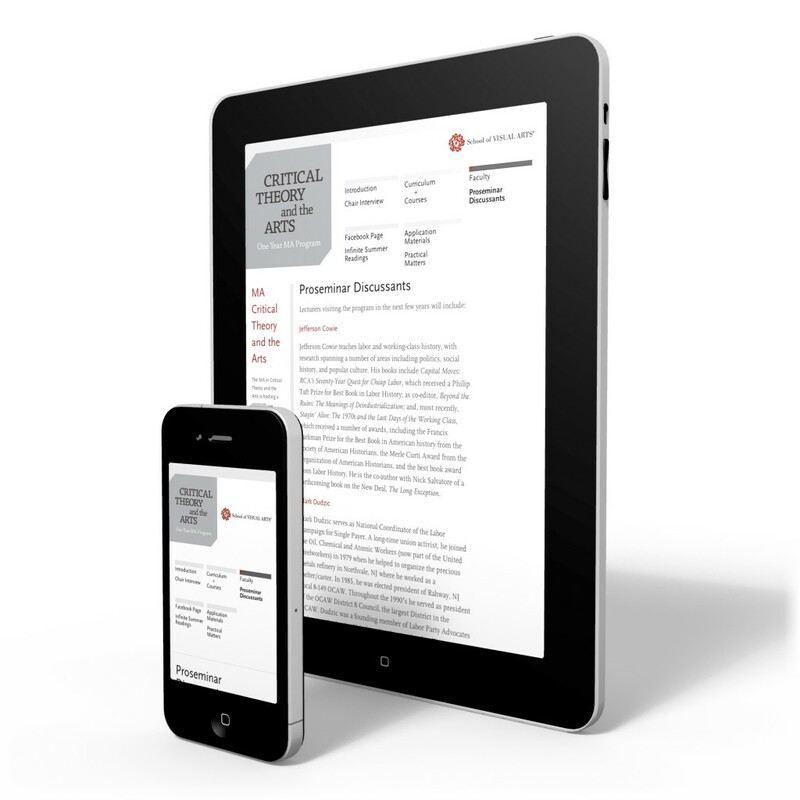 As well as creating a visual identity, we created the Web site, posters, program guides, print and web display ads, bookplate stickers, and a customized Facebook page, keeping their branding consistent across all media. 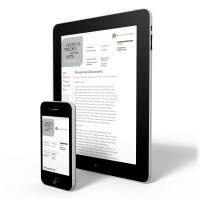 The client is now self-managing the Web site, so it is no longer exactly as it appeared upon launch.